For 19 years before his arrival in St. Cloud, Benedictine Father Martin Marty lived the demanding life of a missionary in the Dakota Territory. At one point, his region covered 150,000 square miles across North and South Dakota. He was passionate about his work with the American Indians; they were his friends and he was their advocate. The Hunkpapa Dakota even inducted him into their tribe and named him Black Robe Lean Chief. Upon his appointment to the Diocese of St. Cloud, Bishop Marty was quite ill. He only served for one year before his death in 1896. 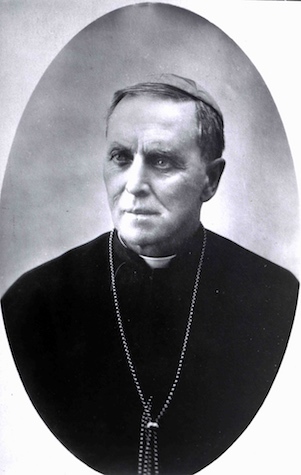 His lasting contribution to the diocese was the initiation of an effort to incorporate the churches within the diocese.